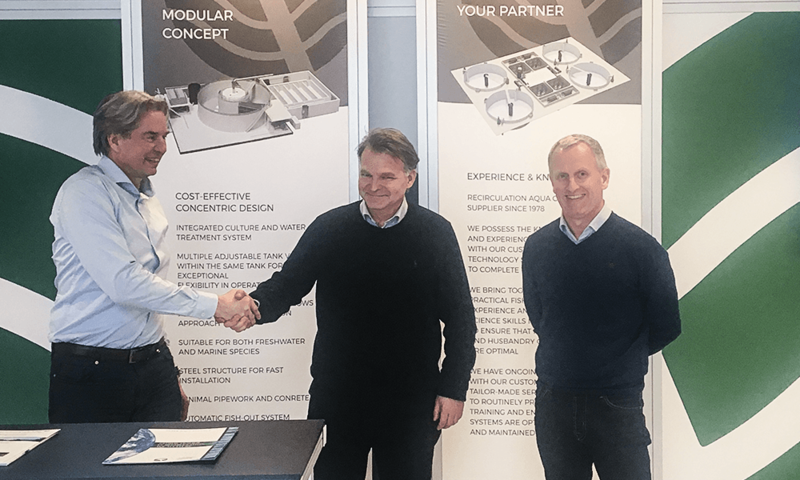 Nordic Aquafarms and Inter Aqua Advance have entered into a long-term strategic agreement to develop, design and deliver large RAS facilities in Norway, as well in the US. Construction for a new 1,6 mil smolt facility in Fredrikstad is planned to start in 2018, and for 3,5 mil smolt in the US by mid-2019. Development of new grow-out expansion is also moving ahead. A 4200 mt/year grow-out expansion in Fredrikstad is planned to start by year-end 2018, while construction of grow-out modules for 13.000 mt/year in the US is expected to start in the second half of 2019.